The happiness of life lies in the smallest gifts. Every relation needs its nourishment and care to become everlasting. Flowers are the most appropriate gifts to nourish this relation with love and care. 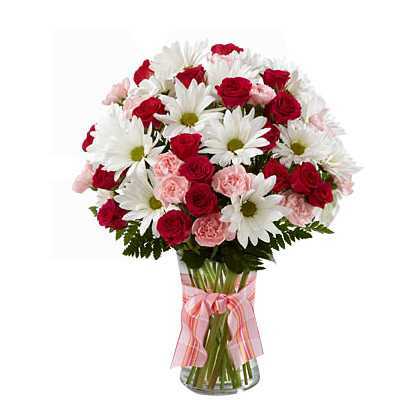 This great combination of 30 Red Roses, 20 Pink Carnations and 20 White Gerberas will refresh and rejuvenate your love life with abundant love and care. Beautiful bouquet. Thank you for the prompt delivery.